The certification of all life safety equipment and materials enables BST vessels to be safer and more reliable, as their component parts conform to rigorous standards approved by international maritime regulations. 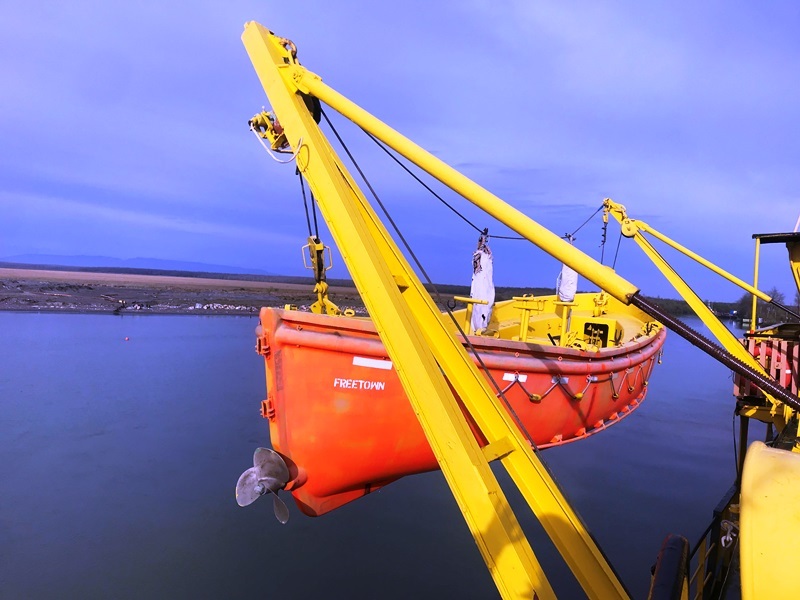 Each vessel is provided with several pieces of life safety equipment and material. This equipment must be inspected, tested and verified on a regular basis. 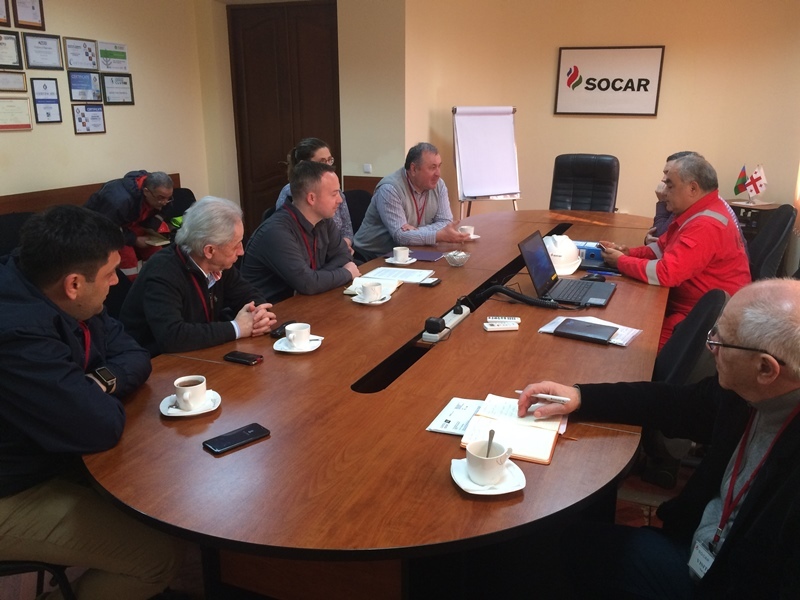 With this in mind, Black Sea Terminal has contracted a specialized company to undertake the inspection, repair, and certification of the life safety equipment on our hopper dredger – the Marian B. 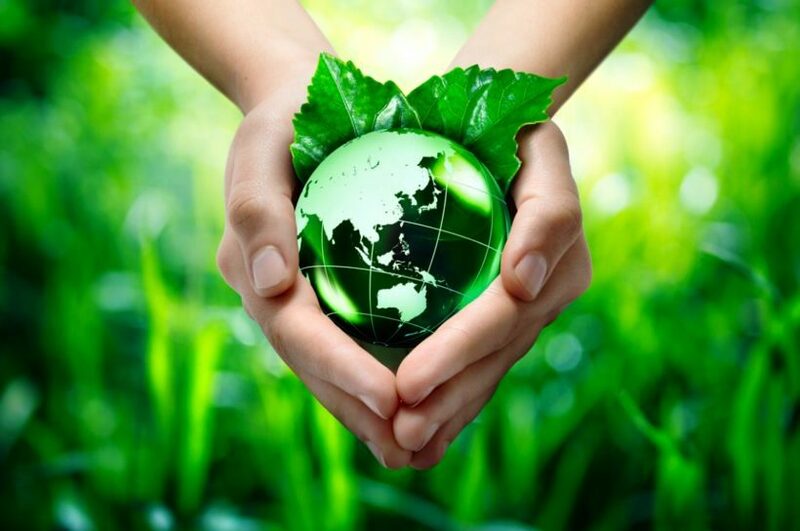 In the oil and gas industry, environmental awareness and the segregation of waste has a very important role in minimizing environmental issues. These issues include habitat protection, biodiversity, air emissions, marine and freshwater discharge, incidents and oil spills and soil and ground water contamination. 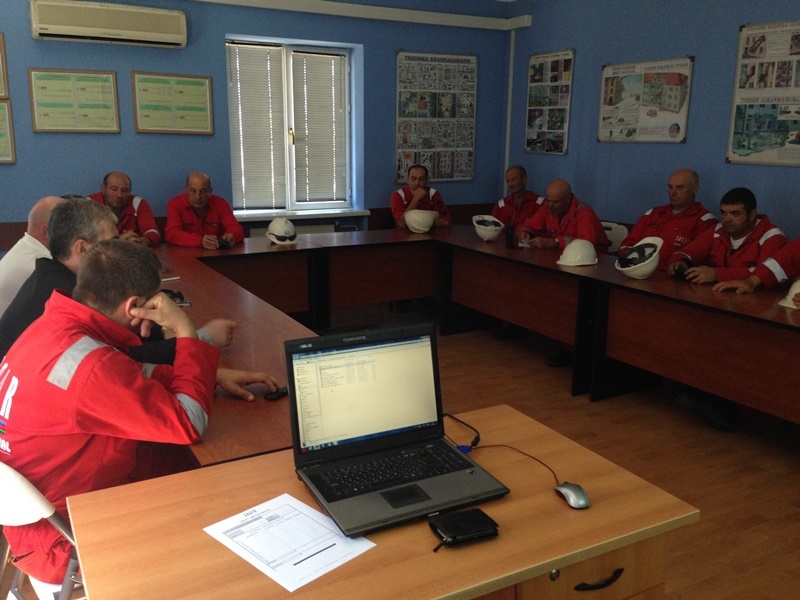 Because this kind of training is important, training courses in environmental awareness for employees are conducted regularly at Black Sea Terminal. As a part of BST’s integral yearly International Port Security Program, in March 2019 an annual inspection was conducted of Kulevi Port by senior management representatives of the US Coast Guard together with representatives of the Maritime Transport Agency of Georgia. The main purpose of the visit was to observe the level of security at Kulevi Port and recommend measures to strengthen the system. At the start of the visit, a meeting was held with the participation of BST management members and Maritime Transport Agency of Georgia to discuss the various aspects of security. Black Sea Terminal is committed to protecting the health and safety of all its employees and making that our activities are not harmful to the environment and the greater community. Some of the methods we use to comply with these principles include maintaining an externally certified health, safety and environmental management system, the elimination of the hazards and practices that could cause accidents and injuries to personnel, complying with legal requirements and by providing training and resources to personnel so they can maintain a safe operating system. Nowruz – the welcoming of the New Year, the vernal equinox, the awakening of nature, and a victory celebration of life-giving forces. It also has great significance related to the spiritual culture of the world, symbolizing renewal, prosperity goodwill and hope for the future. It also symbolizes renewal, success and happiness in family, which is why this celebration is always accompanied with enormous positive energy and a bright future. 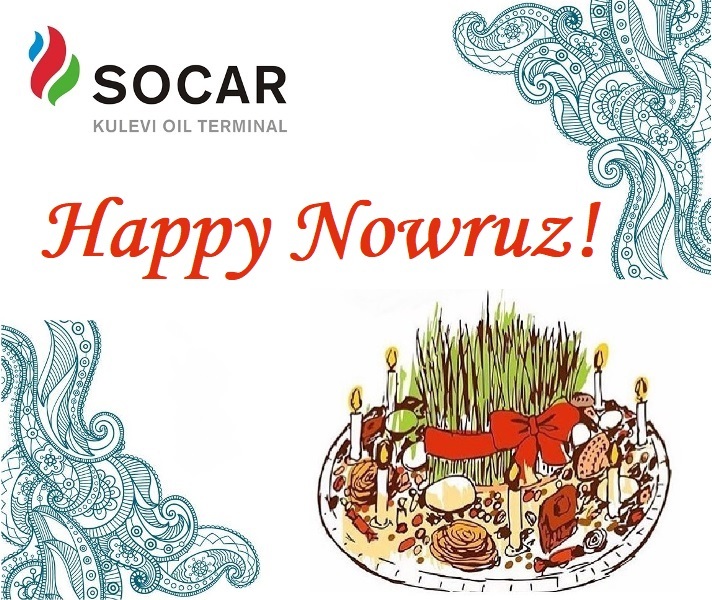 As always, each and every employee of our multicultural team at Black Sea Terminal shares this joy, warmth, and hope in a better future that is associated with Nowruz Bayram. Black Sea Terminal is actively involved in a number of activities, especially those related to the development of education standards and youth physical fitness, as well as financing various interesting projects. This is based on the interest of the youth and how they can make proper use of their leisure time especially through sports activities needed for their physical and mental development. As such, BST management is sponsoring the Kolkheti football club in the Khobi municipality, which is taking part in the Georgian football championship. But before that, the main problems and issues faced by the club and its members were carefully studied. Black Sea Terminal observes the highest international standards. Many technologically advanced devices and pieces of equipment are used in the terminal’s technological processes. It is important to regularly inspect the devices and equipment for the most effective performance and integrity management. Though equipment inspection and maintenance, our highly qualified personnel help to prevent equipment failure. This regime also helps to eliminate any problems with the terminal’s devices and equipment at an early stage of a failure, which could pose a threat to terminal operations. 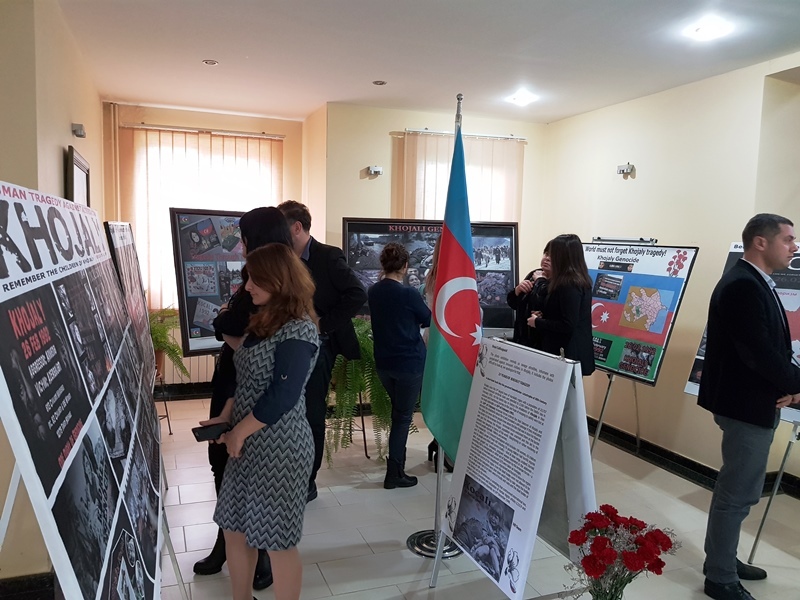 On February 26, all the Azerbaijanis from all over the world will pay homage to the memories of those killed in the city of Khojaly twenty-seven years ago. This genocide of the Azerbaijani people is one of the worst massacres recorded in history. Besides claiming 613 innocent lives, about 25 children lost one of their parents and 130 others were completely deprived of their parents in the wake of this ethnic cleansing. The genocide in Khojaly was not only perpetuated against the Azerbaijani people, but it was also a crime against humanity. In order to promptly respond to emergency situations, the Emergency Response Team (ERT) members’ readiness and professional training should be at a high level. To achieve these criteria on-duty shifts, daily classes on fire tactics and fire rescue training are conducted. At the end of the year, practical and theoretical tests are taken by all personnel, which are taken into account when appraising employees. Black Sea Terminal (BST) has recently offloaded the first railway tank containers with paraxylene delivered from Kazakhstan. Since it began operations, BST has been receiving and offloading hydrocarbon products from railway tank cars using bottom discharge units. Considering the special characteristics of paraxylene, cargo owners and transshipping companies started transportation of this product with the tank containers, which are supplied with cargo heating system and heat jackets.